Posted by Juliet Traub on Thursday, April 14, 2016 in Events. 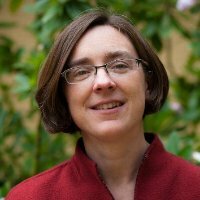 Dr. Kimberly Tanner, Professor of Biology at San Francisco State University and 2012 national Outstanding University Science Teacher, will give a seminar in the Biological Sciences Department Monday, April 18, 4:10-5:15 in Medical Research Building III, room 1220. Professor Tanner directs the Science Education Partnership and Assessment Laboratory, which facilitates and investigates the impact of scientist-teacher partnerships as a mechanism of science education reform. Her group also studies conceptual development in biology, focusing particularly on identifying patterns of conceptual confusion among novices. Her seminar will focus on the development of the biology card sorting task as a means to measure conceptual expertise in biology.